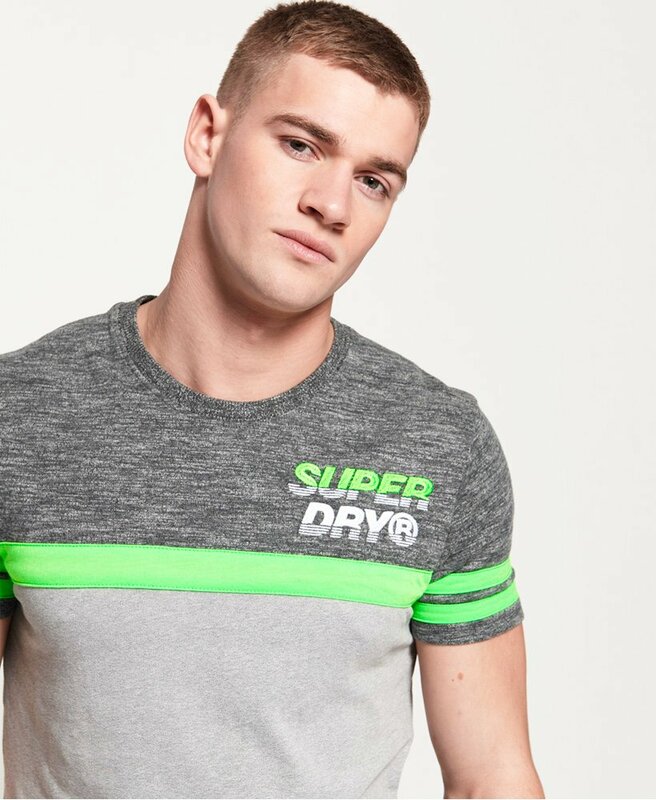 Superdry men's applique Nu Lad cut & sew t-shirt. Refresh your t-shirt collection with this casual tee, featuring a crew neck, colour block design and an applique Superdry logo on the chest. This t-shirt is completed with a stripe design on the sleeves and a Superdry logo patch above the hem.